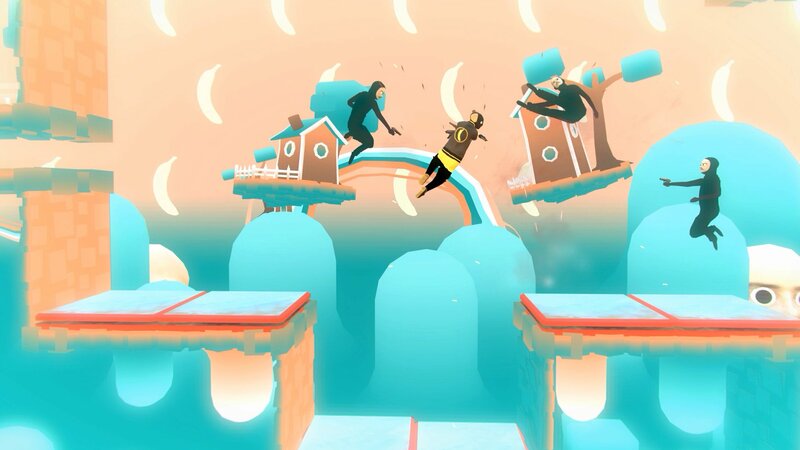 The embarrassment of indie riches that are yielded as a result of PAX conventions steer trends, define genres of their own, and resurrect the treasures of the past. The indie trends were far more subtle at PAX West than they were at PAX East. At East, the indies on display were brightly colored (Sleep Tight), sometimes violent (Relic Hunters Legend), and often strange (Wattam). At West, the trend was more tightly steered towards exceptional gameplay than any particular kind of aesthetic quality. From the battle ballet of My Friend Pedro to the ravaged capitalist landscape of Damnview: Built From Nothing, the stars of West’s show were the indies. Indie games have a tendency to focus on a single standout mechanic (NITE Team 4’s attention to detail in modern-day hacking) or a narrative frame (Night in the Woods’ adorably irreverent narrative devices). 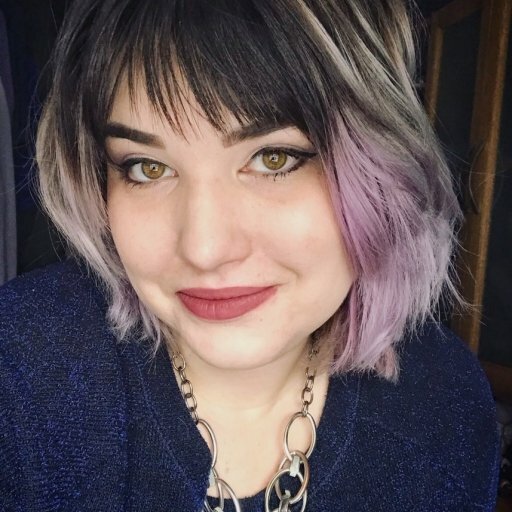 But a mashup of genres, where a game takes inspiration from two disparate modalities and remixes them, is working its way through indie games like The World Next Door, Soundfall, and Gato Roboto. Portland-based Rose City Games, in partnership with Viz Media, have put together a game that is one part visual novel, one part chibi action-adventure, and two parts match-three style combat: The World Next Door. The combination of these seemingly disparate pieces somehow works. The World Next Door struck a balance between fast-paced, puzzle-based, real-time strategy combat and the power of the visual novel. The developers had this idea in their collective minds that a “puzzle battler” was the kind of game that they’d like to play and that the mashup of genres was the best way to handle it. Soundfall mashes up the mechanics from a traditional rhythm game and executes it in combat, framed in a dungeon crawler. 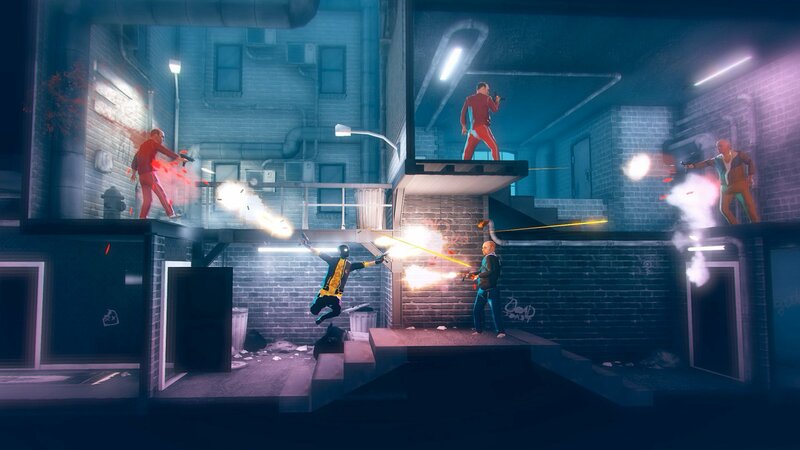 Drastic Games, the small studio behind Soundfall, is built of former Epic Games developers, Nick Cooper and Julian Trutmann. I played the demo with Cooper during PAX. When asked why the combination, Cooper commented that they wanted to build something bright and fun. Klang, a standout indie game from PAX East 2016, managed to pull together action, combat, and rhythm, but its execution wasn’t nearly as fluid as what I played in Soundfall’s PAX demo. The action sequences aren’t limited to attacking on the beat (as in, combat won’t halt if the player misses a cue, unlike Klang and Double Kick Heroes), but the attacks are that much more powerful if a hit lands in time with the music. Soundfall it is a delightful departure from the misery of Rock Band having been out of favor for the last several years. 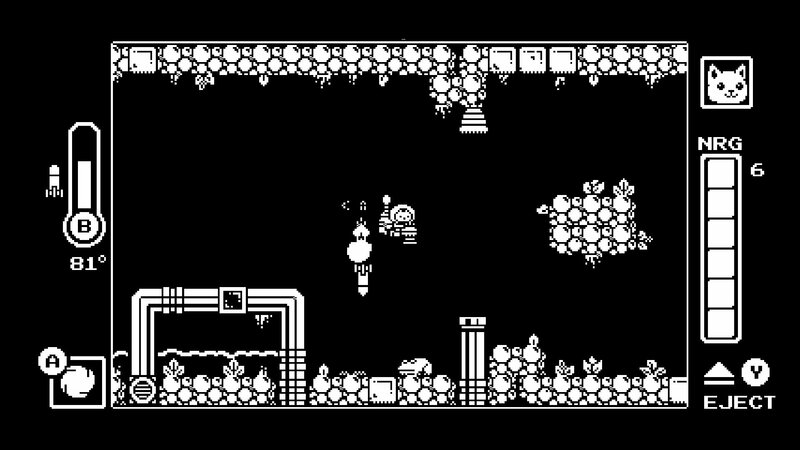 Gato Roboto, published by Devolver Digital and developed by Portland-based Doinksoft, feels like Minit (another Devolver title) had a baby with Metroid and then that baby turned out to be a basket of kittens in disguise. Gato Roboto’s mashup is a bit more subtle than The World Next Door or Soundfall happen to be, but the mechanics aren’t strictly “metroidvania” nor are they simply dungeon-crawler. Instead, this adorable “meowtroidvania” blends the sometimes infuriating nature of “metroidvanias” with striking black and white graphics and the charming, witty banter that Devolver games have become known for. Hyperviolence in games is in and out of vogue more often than any other subgenre of action game. In one breath, games like Hotline Miami are lauded for their boldness, while in the other are condemned for their glorification of violence and murder. It would seem that hyperviolence has found purchase once again, with both My Friend Pedro and Travis Strikes Again. This wasn’t the first time I’d seen Travis Strikes Again, Grasshopper Manufacture’s modern addition to the No More Heroes series, created by renowned gamemaker, Suda51. The game was just as stylish, just as cheeky as it has been in each of the demos that I’d seen at PAX East and GDC. Travis Strikes Again manages to tread the line between overt hyperviolence, as it didn’t rely on the tired gory mess tropes that hyperviolent games tend to lean on (namely because the enemies burst into pixels when they’re destroyed), and hyper-stylized top-down action RPG. In typical Suda fashion, the violence and aggression in the game isn’t limited to gameplay -- it’s in the narration, as well. Elegant hyperviolence with a banana. Sounds about right. Indie games have a tendency to dive into collective nostalgia, especially as Millennials round the corner into thirty-something territory. One prevalent trend is restoring classic, retro titles from their former glory. 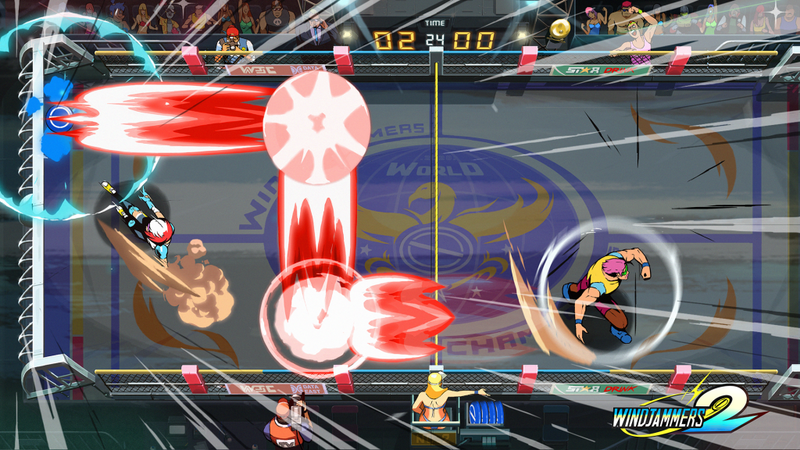 Last year, DotEmu released a remastered version of Windjammers on PlayStation 4 and Vita, and they’ll soon bring it to the Nintendo Switch. The classic sports throwback from the days of the Neo Geo and stand-up arcade ended up garnering quite a bit of attention, as gamers from the ‘80s and ‘90s were taken back to childhoods spent sequestered in their local arcades tossing a frisbee back and forth. This year, DotEmu, whose mission is to “bring back the best games from the past on the most recent platforms,” has redoubled their efforts and not only have they breathed new life into the Windjammers series with Windjammers 2, they’ve reanimated the corpse of Streets of Rage in Streets of Rage 4. Lizardcube, the development studio responsible for Sega’s Wonder Boy remake, has taken up the mantle for Streets of Rage 4’s development… almost 25 years after the last game was released on the Sega Genesis. The cultural ache for looking back and enjoying pieces of our childhoods, where things were easier and made a heck of a lot more sense, is palpable in most entertainment. 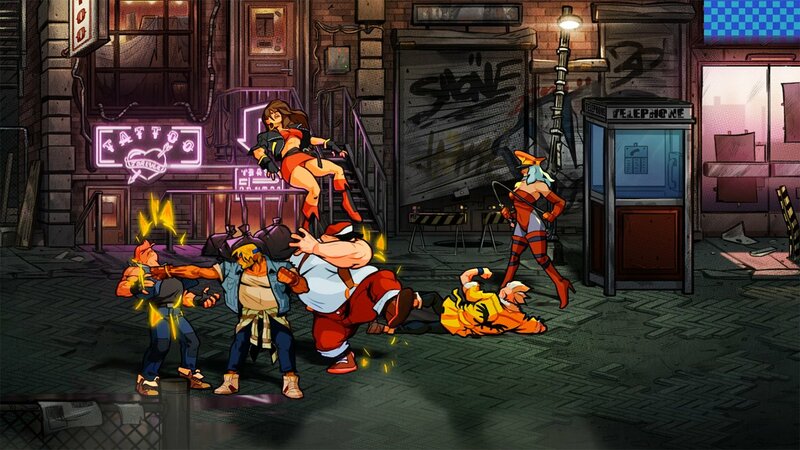 Streets of Rage 4 and Windjammers 2 mark a moment in gaming where everything old is suddenly new. This trend is ongoing, stretching its wings out to envelop triple-A gaming too (Starcraft Classic, anyone?). The ability introduce these kinds of games to new audiences (and have them pay premium prices for the experience, unlike in arcades), who may have enjoyed these games had they been alive in the early ‘90s, is what will drive the retro trend ever onward.